How do I view my tax estimate in Hurdlr desktop? To view your tax data in the desktop version, click the ‘Taxes’ tab on the navigation bar. 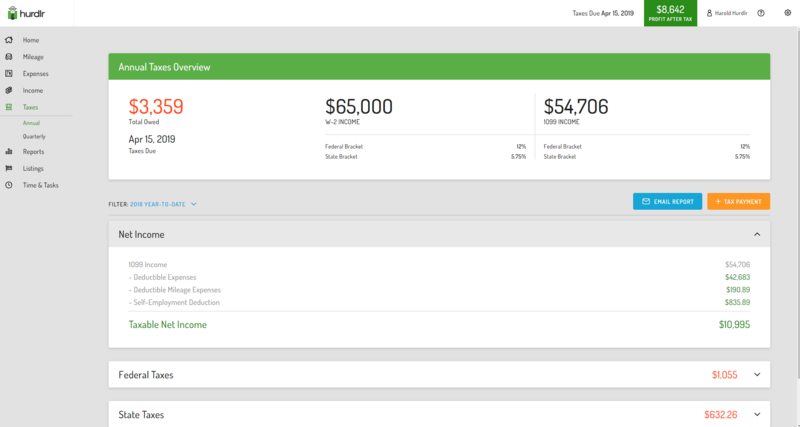 At the top of the screen you’ll see your real-time tax estimate and income data. You can also expand the various sections to see more detailed calculations. To view your tax estimate for a different time period, use the ‘Filter’ option to change the view (like last year or a specific tax quarter).